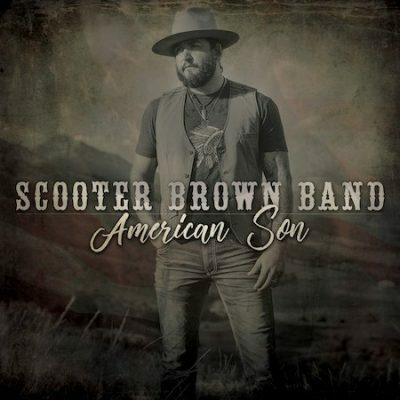 In the midst of a busy touring season tearing up the road across the U.S., Scooter Brown Band dropped an anthemic single today called “American Son,” featuring Country Music Hall of Famer Charlie Daniels. Nashville Country Club debuted the track earlier this week calling it “a gritty unapologetic track that has a rockin’ musical arrangement for the band’s Southern Rock appeal.” Fans can listen to the single on Spotify and Apple Music and purchase it on iTunes or Amazon. “American Son,” features none other than one of America’s truest sons, Charlie Daniels, a southern rock/country icon and American Patriot that Scooter Brown has looked up to his entire life and sought advice from often in recent years. The Country Music Hall of Famer contributes his gritty southern drawl to the track like only he can, driving it home as a true tribute to the working man. Southern-rock revivalists, the Scooter Brown Band, have been on the road for the past few years playing for fans around the country with over 100 shows a year both headlining and opening for iconic acts like the Charlie Daniels Band, Travis Tritt, the Marshall Tucker Band and many more. After 4 years and 3 months, 2 tours overseas with 1 tour of combat in Iraq as a United States Marine, Scooter Brown traded his guns in for guitars and hit the road. The Scooter Brown Band was formed and began playing mainly in and around Houston, Texas. Along with their growing notoriety came their first radio single “Apology.” Other regional radio releases were soon to follow and include “Whiskey Talkin”, “Soldiers Christmas Eve”, “Feels Like Home,”, and “Summer Song”. The band has released a number of independent albums, strengthening their chops in the studio, however they truly shine in their live show. SBB has toured the country and opened for some of their biggest influences including Charlie Daniels Band, Travis Tritt and the Marshall Tucker Band, just to name a few. For the last year the band has been building a new era in their career and are gearing up for the release of their newest project this Fall — defining modern southern rock. For more information, please visit scooterbrownband.com. To keep up with the Scooter Brown Band on social media, follow them at @scooterbrownbnd on Twitter & Instagram and on Facebook. Find the most current Scooter Brown Band tour dates from our partners at Country Music On Tour, your trusted country concert ticket source! Country Music News Blog participates in advertising programs that help fund the operation of this site. For more information please visit our privacy statement. This entry was posted in Scooter Brown Band by Shauna "WhiskeyChick" Castorena. Bookmark the permalink.